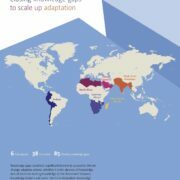 The AGEDI team would like to extend a warm congratulations to IPBES, their co-chairs and the chairs of the report for the recently released summary for policy makers for the Land Degradation and Restoration report. We look forward to reading the final documents as they are released. IPBES Asia Pacific Report for Decision Makers now released! It was a great privilege to have AGEDI member, Jane Glavan, be a review editor for the Asia-Pacific Region report for Chapter 1 of the assessment. 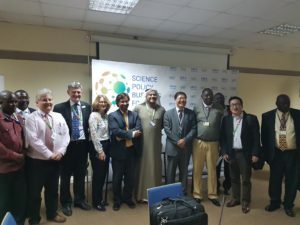 We would like to extend our congratulations to the Chair of IPBES Bob Watson, the chairs of the Asia Pacific Report Madhav Karki and Sonali Sellamuttu, as well as all the authors of the report. We further look forward to sharing the full report once released. https://agedi.org/wp-content/uploads/2018/03/shutterstock_230017618.jpg 2667 4000 Jane Glavan https://agedi.org/wp-content/uploads/2014/12/AGEDI-Logo86.png Jane Glavan2018-03-25 09:48:172018-03-25 09:49:31IPBES Asia Pacific Report for Decision Makers now released! 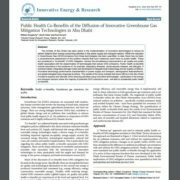 Very happy to have our PIs from CCRG and NCAR have our study “Public Health Co-Benefits of the Diffusion of Innovative Greenhouse Gas Mitigation Technologies in Abu Dhabi” be published! Newest Eye on Earth Webinar Announced for February 7th 2018! JOIN US FOR A WEBINAR ON TUE FEB 07, 2018 AT 12:00 PM UTC DURATION 1 HOUR. All registrants receive a link to the recording – please register even if you cannot attend the live event. The Australian Geoscience Data Cube is an innovative capability to measure and monitor the Australian land surface at unprecedented scale. The unique combination of high performance computing, big-data mining techniques and new satellite observing capabilities allows the liberation of the huge archive of satellite observations over Australia collected over the last 35 years to deliver up-to-date time series of environmental change at high resolution, over the entire continent. The development of this technology provides a capability to develop objective, evidence based measurement and monitoring of landscape change in a much more cost effective, efficient and accessible way across entire continents and shows the potential for a global infrastructure of such tools for governments interested in the development, mapping and management of land, water and coastal activities. Each product produced by Digital Earth Australia can potentially also be generated for every country in the world!! 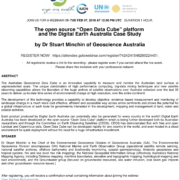 Digital Earth Australia has been developed on the open source “Open Data Cube” platform which is being further developed both by Australian researchers and through the Committee on Earth Observing Satellites (CEOS). CEOS has demonstrated that with free and open Landsat and Copernicus data, Open Data Cube can be developed rapidly for any country in the world, and even hosted in a cloud environment for quick deployment without the need for a huge infrastructure investment. https://agedi.org/wp-content/uploads/2018/01/Screen-Shot-2018-01-11-at-2.59.52-PM.png 2128 1894 Jane Glavan https://agedi.org/wp-content/uploads/2014/12/AGEDI-Logo86.png Jane Glavan2018-01-11 15:38:582018-01-11 15:38:58Newest Eye on Earth Webinar Announced for February 7th 2018! Following a very successful launch on 2 December 2017, the Indicator Reporting Information System (IRIS), is gearing up for an accelerated deployment in 2018. 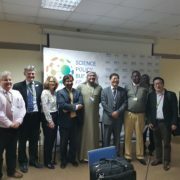 Indeed, Phase III of the “Capacity Building Programme on Environment Statistics in Africa” will start later this month; a group of selected pilot countries (Burkina Faso, Cameroon, Equatorial Guinea, Ghana, The Gambia, Malawi, Namibia and Senegal) will conduct national workshops and receive technical assistance. A substantial number of activities are planned to be carried out, one of them includes setting up IRIS database and provide guidance on using IRIS for data storage. 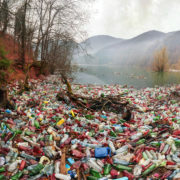 Click on the following link for more details: https://unstats.un.org/unsd/environment/envpdf/Issue42.pdf. Both the Environment Agency – Abu Dhabi (EAD) and UN Environment look forward to working at a sub-national and regional level to deploy IRIS globally. According to UN Habitat the effects of urbanization and climate change are converging: cities cover less than 2% of the earth’s surface, use 78% of world energy, and produce 60% of CO2 and GHGs through energy generation, transportation, industry and biomass use. Cities and towns are also very vulnerable to climate change and the most affected populations are the urban poor. Habitat goes on to say that cities can reduce GHG emissions while addressing other local environmental problems such as air pollution, waste disposal, and transportation. The challenge is to link climate change to local environmental and development priorities. 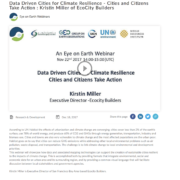 This webinar will showcase how data and associated mapping technologies can support the creation of sustainable cities resilient to the impacts of climate change. 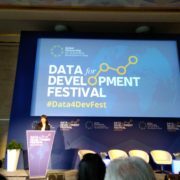 This is accomplished both by providing formats that integrate environmental, social and economic data for an urban area and its surrounding region, and by providing a common visual language that will facilitate discussion between local stakeholders and government agencies. Kirstin Miller is Executive Director of San Francisco Bay Area based Ecocity Builders. 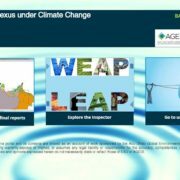 Abu Dhabi, UAE: 20 December 2017: Following a successful collaboration between Environment Agency – Abu Dhabi (EAD) and UN Environment, the Abu Dhabi Global Environmental Data Initiative (AGEDI) launched the Indicator Reporting Information System (IRIS) during the UN Global Science-Policy-Business Forum on the Environment that took place during the third session of the UN Environment Assembly held in Nairobi, Kenya between 4-6 December 2017. IRIS is an enterprise web application intended for organizations involved in regular environmental status and performance reporting. It is a targeted response to a set of widespread, real world challenges faced by many organizations across the world. Its main aims are to reduce the institutional burden associated with recurring report production and to provide timelier and more complete information for decision makers; in all tiers of Governance – local to global develop; to develop institutional capacity; and be a practical, durable and globally applicable solution. Ahmed Baharoon, AGEDI’s Acting Director said: “We are very proud to be able to show our stakeholders the result of the hard work between the AGEDI implementation partners to reach the point where IRIS is ready to be launched. We look forward to collaborating with UN Environment even closer in 2018 to deliver IRIS to its users”. The path forward includes further strengthening the software to ensure its long-term durability; a regional capacity-building workshop for West Asia will be held in Abu Dhabi in Q2 of 2018, as well as the deployment of IRIS in a first batch of interested countries from across the globe. “We look at 2018 with great excitement and anticipation; a substantial number of countries have expressed interest to have the IRIS deployed within their ministries or institutions responsible for environmental reporting. UN Environment will strive to meet this demand and to demonstrate the significant value add that IRIS represents in the global reporting ecosystem.” said Dr. Jian Liu, Chief Scientist at UN Environment. More information on IRIS can be found at www.agedi.org/iris and www.environmentlive.unep.org/myiris. Queries can be sent to environmentlive@unep.org. أبوظبي، الإمارات العربية المتحدة: 20 ديسمبر، 2017: استمراراً للتعاون الناجح بين هيئة البيئة – أبوظبي وبرنامج الأمم المتحدة للبيئة، أطلقت المبادرة العالمية للبيانات البيئية (أجيدي) مؤشر نظام معلومات التقارير خلال منتدى العلم والسياسات العامة والأعمال الذي عقد كحدث جانبي على هامش الدورة الثالثة لجمعية الأمم المتحدة للبيئة التابعة لبرنامج الأمم المتحدة للبيئة في مقر برنامج الأمم المتحدة للبيئة في نيروبي، خلال الفترة من 4 إلى 6 ديسمبر 2017. ومؤشر نظام معلومات التقارير هو تطبيق إلكتروني مخصص للمؤسسات التي تقدم تقارير دورية حول حالة البيئة وأدائها، كما أنه يعتبر استجابة مستهدفة لمجموعة واسعة من التحديات العالمية الحقيقية. وتتمثل أهداف هذا المؤشر في تقليل العبء المؤسسي المرتبط بإعداد التقارير بشكل متكرر، وتقديم معلومات موثوقة وفي الوقت المناسب لصناع القرار، على كافة مستويات الحوكمة – المحلية والدولية، كما يهدف إلى تعزيز القدرات المؤسسية، لتصبح حلاً عمليا ومستقراً وقابل للتطبيق عالمياً. وقال أحمد باهارون، مدير مبادرة أبوظبي العالمية للبيانات البيئية بالإنابة: “من دواعي سرورنا وفخرنا أننا تمكننا من إطلاع شركائنا على نتائج الجهود الدؤوبة التي بذلتها مبادرة أبوظبي العالمية للبيانات البيئية، بالتعاون مع شركائنا التنفيذيين للوصول إلى مرحلة إطلاق مؤشر نظام معلومات التقارير. ونحن نتطلع إلى تعزيز التعاون مع جمعية الأمم المتحدة للبيئة في عام 2018 ليصل مؤشر نظام معلومات التقارير إلى مستخدميها”. وتتضمن الخطط المستقبلية تحسين هذا التطبيق لضمان استمراره على المدى الطويل، كما أنه من المقرر أن تستضيف إمارة أبوظبي ورشة عمل إقليمية لبناء القدرات في منطقة غرب آسيا، وذلك في الربع الثاني من عام 2018. بالإضافة إلى تطوير مؤشر نظام معلومات التقارير في أول مجموعة من الدول المعنية من جميع أنحاء العالم. للمزيد من المعلومات حول مؤشر نظام معلومات التقارير، يمكنكم زيارة الموقع الإلكتروني www.agedi.org/iris و الموقع www.environmentlive.unep.org/myiris، كما يمكنكم التواصل للاستفسار عبر البريد الإلكتروني environmentlive@unep.org. Revamped Eye on Earth Website Now Online! The Eye on Earth Network Coordination Unit (NCU), which AGEDI is part of, is pleased to announce that the revamped Eye on Earth website is now online at www.eye-on-earth.net! 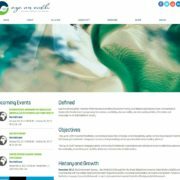 The new website gives the user an insight into the three Focal Areas that now define Eye on Earth’s scope of activities; one can also view upcoming as well as previous webinars. The site will be continuously updated to better reflect the Eye on Earth movement as it stands today. Come take a look! https://agedi.org/wp-content/uploads/2017/10/Capture-3.jpg 1099 1899 Jane Glavan https://agedi.org/wp-content/uploads/2014/12/AGEDI-Logo86.png Jane Glavan2017-10-25 11:21:472017-10-25 11:21:47Revamped Eye on Earth Website Now Online! 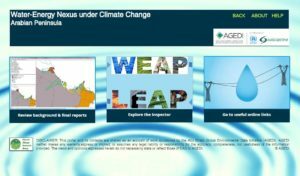 Regional Water-Energy NEXUS Toolkit online! Visit https://www.ccr-group.org/regional-water-energy to find out the costs and benefits of investing heavily in solar power generation in the Arabian Peninsula! https://agedi.org/wp-content/uploads/2017/10/Capture-2.jpg 614 1049 Jane Glavan https://agedi.org/wp-content/uploads/2014/12/AGEDI-Logo86.png Jane Glavan2017-10-09 09:59:332017-10-09 09:59:50Regional Water-Energy NEXUS Toolkit online!